Please click here for Programme Details and Registration! Following the great success of and extremely positive response received at the First International MoniQA Symposium on Food Fraud Prevention and Effective Food Allergen Management in Bari, Italy, 26-27 January 2017, the MoniQA Association would like to invite you to mark your calendars for the Second International MoniQA Symposium on Food Fraud Prevention and Effective Food Allergen Management in Vienna-Vösendorf, Austria. 7-8 June 2018. 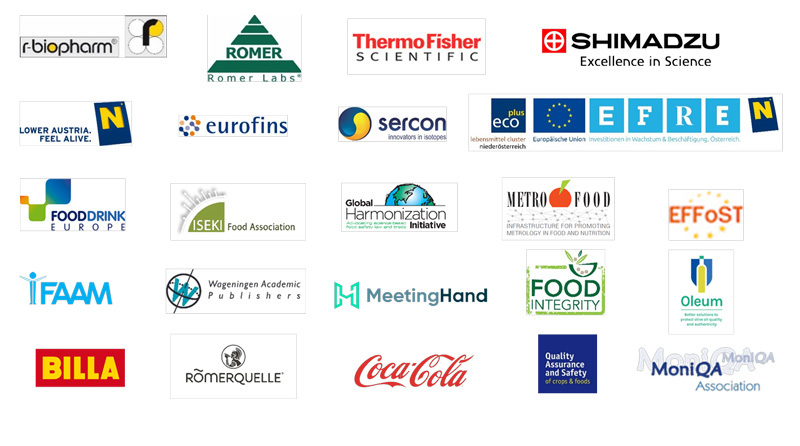 The Second International MoniQA Symposium on Food Fraud Prevention and Effective Food Allergen Management will address food authenticity, food fraud and the need for simple labeling as major drivers for both the food industry and companies involved in rapidly developing new analytical technologies. The food industry must adapt to this changing landscape and be aware of the regulatory and legal issues that drive the change in the safety and quality of food. This workshop will bring together food industry experts, legal experts, regulators, academics and nongovernmental organizations (NGOs) to discuss the latest information on the implications of regulations and other burning issues in the food space. Science and technology involved in the analysis of food for authenticity will be shared by decision makers, legal advisors, marketing experts and lawyers. Case studies of successful brand protection, food fraud prevention and improved risk management will be provided in this timely and innovative Symposium.